Two unassuming bins sit in a corner without any posters, scary timetables or paraphernalia around them. No muttering of a shredder. No hustle and bustle of an army of workers either. A few perforated plastic crates filled with the compost taken out of these bins have earthworms going about their business without giving two hoots to what the city is getting all worked up about. 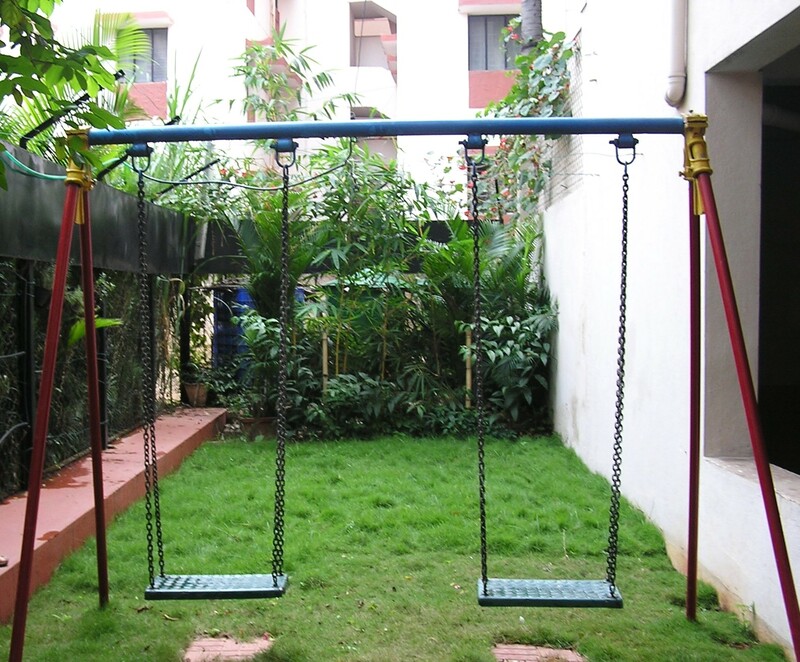 Renaissance Regalia located in Malleswaram has pioneered various green initiatives and has been leading the path for years. 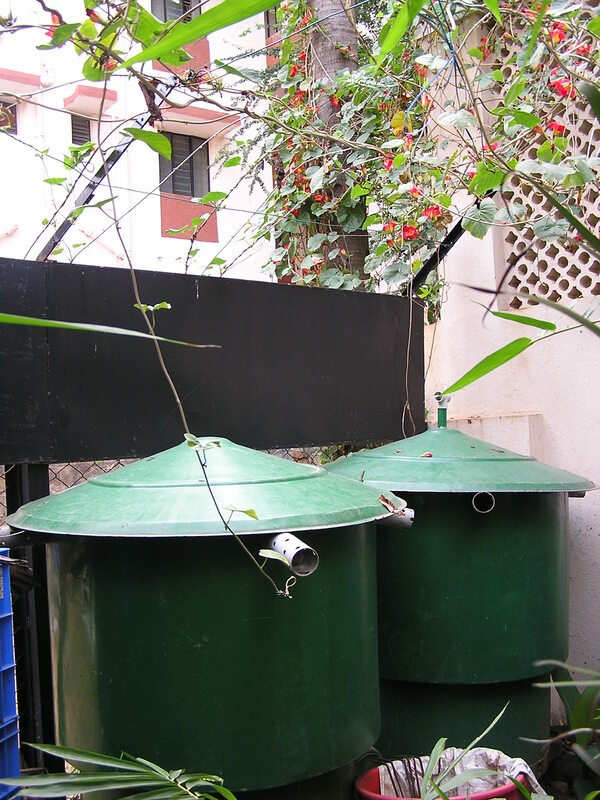 If you visit Renaissance Regalia located in Malleswaram where a pair of Byobins is working in seemingly eternal harmony, you may perhaps come back home relieved that composting wet waste is eminently doable after all! Each community composting solution has its own strengths and weaknesses. What suits one is a put-off for another. 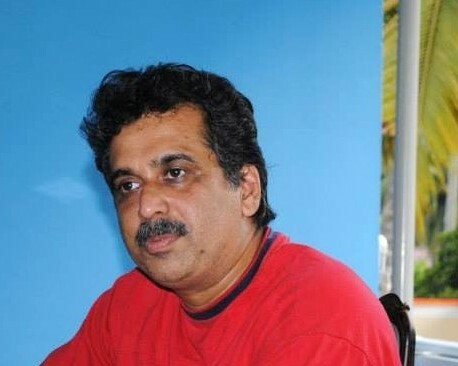 But if you ever decide to go for Pelrich Byobin, a brainchild of Dr C N Manoj of Pelican Biotech & Chemicals Labs Pvt. Ltd., you would agree with me on this point: It takes a lot of learning and unlearning to see through the complexities to dish out a simple solution. In short, sustainability lies in simplicity. And, Dr Manoj has not only understood it, but also executed it equally well. 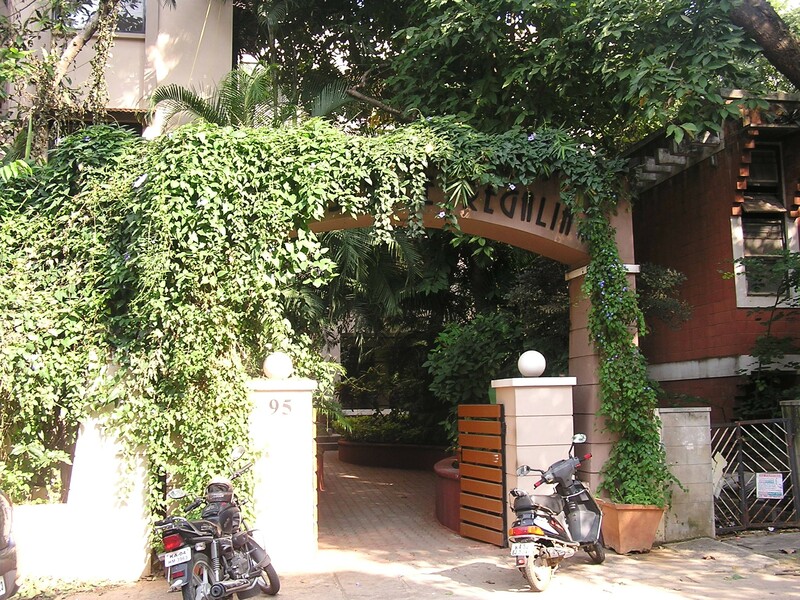 Further, what lent this case study more depth is the customer who endorsed the product: Seasoned eco activist and composting expert Vani Murthy, a resident of this apartment which has pioneered various green initiatives. 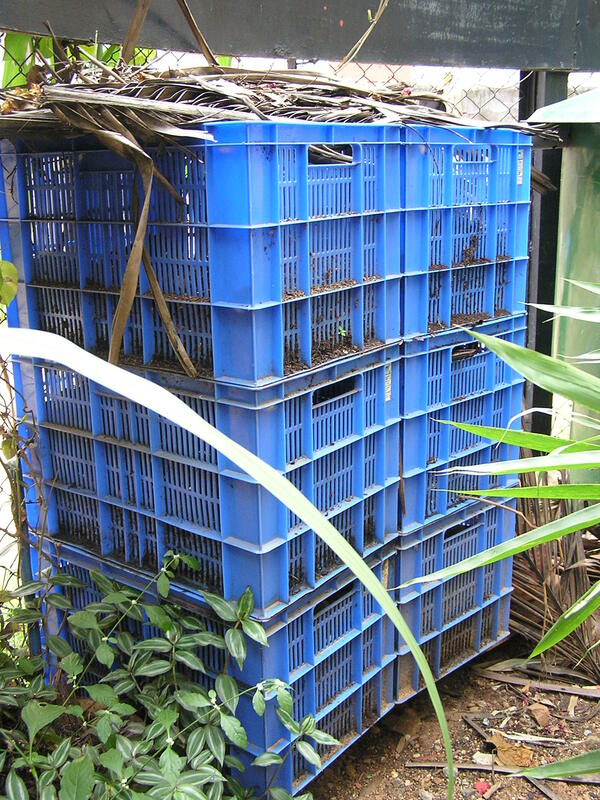 Once the compost is taken out of the Byobin, it is placed in these crates or a plastic barrel for further breakdown. Vani Murthy sprinkles a few earthworms and takes the compost quality to the highest level possible. Each Byobin comes with a capacity of 600 litres and can accommodate a maximum of 15kgs of waste per day. It is sun- and rain-proof. Four perforated pipes run around the inner circumference to aerate the pile and also pump out the excess hot air that gets accumulated during the process. A net separates the bottom from the rest of the bin and this is where the leachate collects. It needs to be taken out through an outlet fitted at the bottom once in 2-3 days to increase air circulation. A maximum of 15kgs of waste (both vegetarian and non-vegetarian) should be spread uniformly in the bin and a thick layer of Pelrich Composorb—a cocopeat-based inoculant—should be laid on top of it. Please note that no more than 15kgs can go in per day. If you put more, it will compact the decomposing mass and create anaerobic conditions. If you have dry leaves, put them on top of the Composorb layer to avoid insect-related issues. At Regalia, one pair was enough to compost all the wet waste generated by 20 units. Once the bin is filled up, it is left undisturbed for 15 days. On the 16th day, the top dry layer (around 10-12 inches) is removed into another container or a bag. When Vani opened the first bin, it looked like a tiny ecosystem teeming with all kinds of beneficial microbes and yet, the fresh waste wasn’t emitting any bad odour. The volume in the second one was reduced to almost 1/3rd of its original quantity. At Regalia, thanks to Vani’s immense expertise in handling earthworms, this compost undergoes further and ultimate breakdown in another container or crates using a handful of wigglers. If you don’t use a shredder, the compost will not have a uniformly crumbly texture. However, as Dr Manoj makes it clear, “the appearance of compost is not significant”. “What matters is the C:N (carbon:nitrogen ratio) and EC (electrical conductivity)”. If you want to speed up the process and increase the saleability of the surplus compost, a shredder would be a good addition to the entire apparatus. Every composting enthusiast must remember that composting is a science and getting a hang of the basics is not difficult. In fact, digging deeper will only make you love this activity even more. First and foremost, please remember that the character of the waste that goes in decides the output. If you pay attention to the details of spreading Pelrich-Composorb and dry leaves on the food waste, you might come up with a load of well-balanced and nutritious compost. Dr Manoj has seen it happening amongst many of his customers. (You can also get your home-made compost tested at any good laboratory in the city). 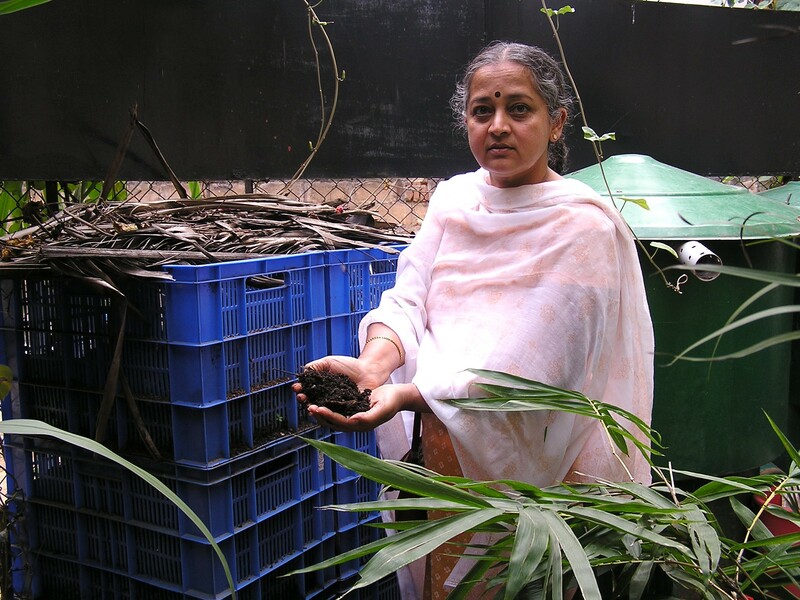 Eco activist Vani Murthy with a handful of compost taken out of the Byobin. Electrical conductivity: Less than 5 milli mhos/cm, (normal compost will be more than 20 units which creates heat in the vector of the plant). This permits you to use the compost directly as a growth medium for your plants. Lignin/polyphenol content: Less than 25%. This will be more than 40% in regular compost that creates acidic environment. C:N (carbon : nitrogen ratio): 30:1 which complies with the international standards. Can you imagine composting is happening right next to the kids’ play area? The compost will double up as a soil-less planting media. It will keep degrading continuously and keeps on adding nutrients to the plants. He has seen some of his customers hanging pots around it to make it aesthetically appealing. “It will not even appear to be a composting bin,” he adds. The cost of Byobin: Rs 16,500, (approximately, Rs 1,000/house). The cost of Composorb: Rs 1,200/100 litre bag, 0.75 bag/bin/month = Rs 900 (recurring cost/month, approximately Rs 60/house). “This is a little more than what we have to pay if we were to buy compost from outside. But we send a lot less wet waste out!” says Vani, who has created a self-sustaining living space for herself and takes incredible proud in leading hordes of others on this leafy lane. Dr C N Manoj, Chief Executive, Pelican Biotech & Chemical Labs Pvt. Ltd., 1/77, NC John Estate, Kuthiathode, Cherthala, Alappuzha, Kerala-688 533. Ph: 91-478 – 2560206, 3212999; Mobile: 91 – 9447365542. Email: manoj@pelicanbiotech.com; www.pelicanbiotech.com. This entry was posted in Community Composting, Endlessly Green, Free Flowing and tagged Byobin by Dr C N Manoj, Byobin composting, composting, composting at Renaissance Regalia Malleswaram, Dr Manoj, Pelican Biotech & Chemical Labs Pvt. Ltd, Vani Murthy, Vani Murthy Byobin. Bookmark the permalink. ← Segregation-at-source rule is back in Bengaluru. What’s your take on it? We in chaithanya samarpan (layout with 203 homes) also have started using Byobin on a trial basis. And we are very happy so far. Hi Savita, Do you want the pictures of the Byobin installed in our community? We have the same byobin model posted here. In case you prefer more info on what is place in our community please go through http://whitefieldrising.org/blog/chaithanya-samarpan-adopts-waste-segregation/. Could you Share the dealers of the Byobins please? I came across your blog via KMB fb late, and have become a big fan. We are just starting to understand the idea of composting and your detailed explanations skiing with cost factors are a great help. We are a 140-house apartment and are looking to start composting. I am interested in the byobins but we have some limitations. 1.we produce approx. 100 kg wet waste/day. 2. 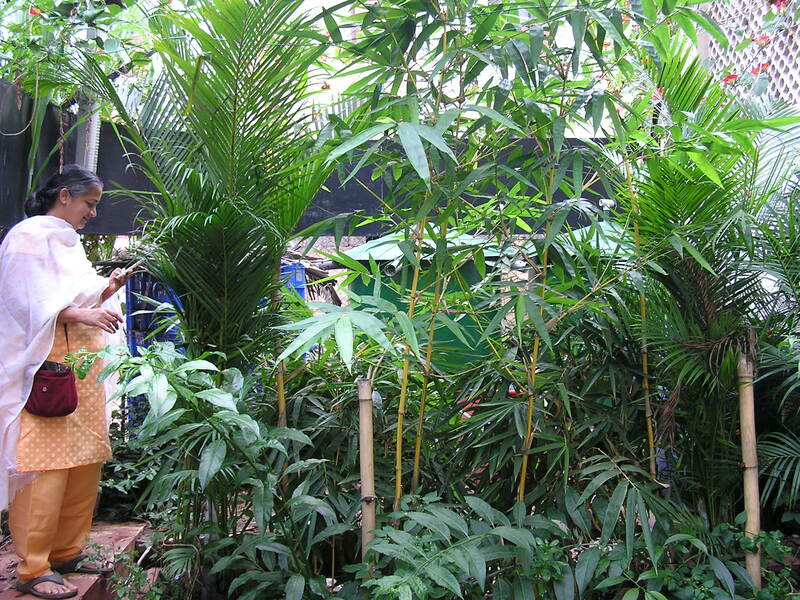 Though we have a large compound, we have only limited area to dedicate to composting. No closed spaces/enclosures present for other methods. 3. Cost: we are few crusaders for SWM, and our cost factor has to economical to convince the whole community. 4. We have only 6-7 housekeeping staff, so the method has to be manageable by them. Do you think byobins would work for us? What are your other suggestions? Hi Manoj, thanks for the reply. At Renaissance, they don’t use a shredder. Is it okay to go without it in this 140-unit community also? Ours is a 150 flat complex in Bangalore and we are looking for simple composting techniques. In this connection I visited another complex (78 flats) in our area that is already into composting. However, I do not know whether the output they get as a final product is really compost. Let me describe the method: Wet waste is first run through a digester. Semi-liquid slurry stuff that comes out is then spread on the terrace under a roof to dry. A layer of saw dust is spread on it. Once this stuff dries well (in about a couple of weeks) it is powdered and placed in bins. This is the end product that they use in their garden. Is this all there is to composting? Do we not need to use earthworms or other mixtures to get further composting done? Please advise. For your own apartment, I would recommend this: Pls study all the community composting methods documented in this blog in ‘Community Composting’ category and pick whichever suits your budget and space. Almost all of them give an estimation for 100 homes and hence, it will not be difficult for you to calculate for 150 homes. Secondly, the composting method you have mentioned here made me really think. To be sure, I got in touch with a microbiologist (that’s why the delay in responding) and discussed it further. Put simply, it’s NOT composting. What they are using for their garden is a highly under-processed, dried green waste. It’s NOT compost. Composting is a more intricate process where the substrate transforms itself from waste to organic manure and many sets of bacteria and fungi enter the substrate pile at different stages and work their magic on it. For more details, I request your to read a post on “a little bit science on composting”. Further, the dry powdery stuff that they are using for the garden will undergo further processing in the natural environment generating a lot of heat around the root zones of the plants in the garden. It will take its own time to become compost but by then, the high electrical conductivity of the powder will create very difficult conditions for the plants to grow. If put in small quantities once in a while, Nature will take care of it. But if given in large quantities and regularly, it will simply shoot up the water consumption due to the heat generated in the topsoil. If one were to call this ‘composting’, then there would have been NO need to study the science behind composting by scientists all over the world and document the right procedures. Even farmers in rural areas let the heaps mature over a period of time and then use it for the field. If they plough the green waste into the soil, then they let it stay there for sometime allowing it to be processed in the natural environment and then go ahead with sowing, etc. You have mentioned earthworms. One could actually turn the entire green waste and uncooked veggies and fruits into compost using earthworms. I have documented that, too. Since one *cannot* use spicy/oil/non-veg cooked food for vermicomposting, I do not recommend this method for processing your kitchen waste on large-scale. Please go for any other method as I have already mentioned. When the compost turns out well with its characteristic fragrance and looks black and crumbly, then its effects on the soil can be magical. Thank you for the detailed explanation. I have understood the matter well. Yes we will take up one of the composting methods enlisted by you.